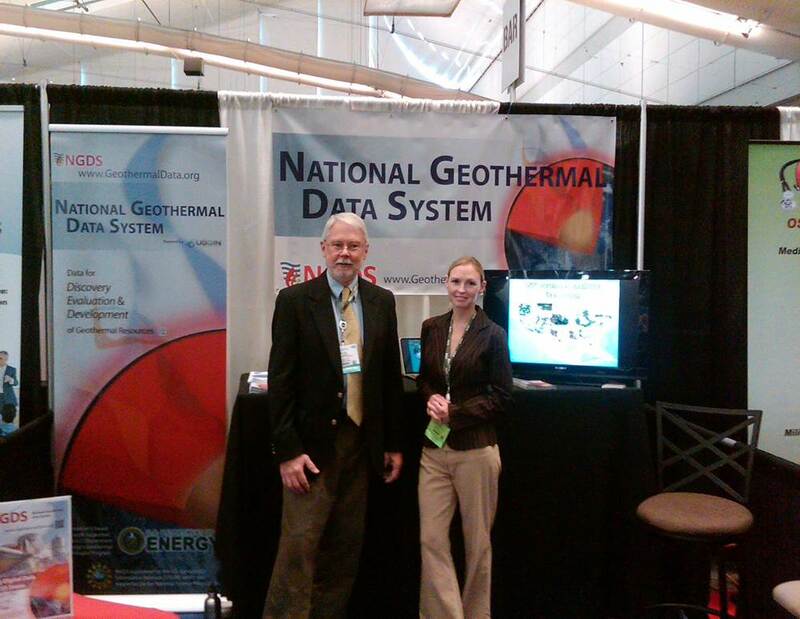 We had a steady stream of folks stop by to try out the test version of NGDS which now has over 17,000 data sets, over 5 million records, and a wide variety of data types that are relevant not only to geothermal exploration and development but are valuable resources for geologic investigations and other natural resources. Data are coming from state geological surveys, universities, and labs in every state. Our first Canadian data are now online and more international connections are in development. The system currently serves over 1.25 million oil and gas and water wells and we expect that number to triple by year end. The open source, online, distributed system also makes data interoperable, a breakthrough approach that is dramatically reducing the time needed to integrate data from different sources. A national study of groundwater depletion since 1900 includes reviews of Alluvial Basins and the deep confined aquifer in Black Mesa Basin in Arizona. The Alluvial Basins include 72 distinct basins in south-central Arizona, covering 212,000 square kilometers, filled with as much as 3,000 meters of unconsolidated alluvial fill. The use of Colorado River water and recharge of basins, has halted or even reversed groundwater declines in some basins since 1980, but it appears that cumulative groundwater withdrawal as of 2008 was 102 cubic kilometers. Groundwater withdrawal from the multiple zones in the Navajo ("N") aquifer in northeast Arizona has increased since the 1960s for municipal and industrial uses, cumulatively totaling an estimated 0.22 cubic kilometers by 2008. 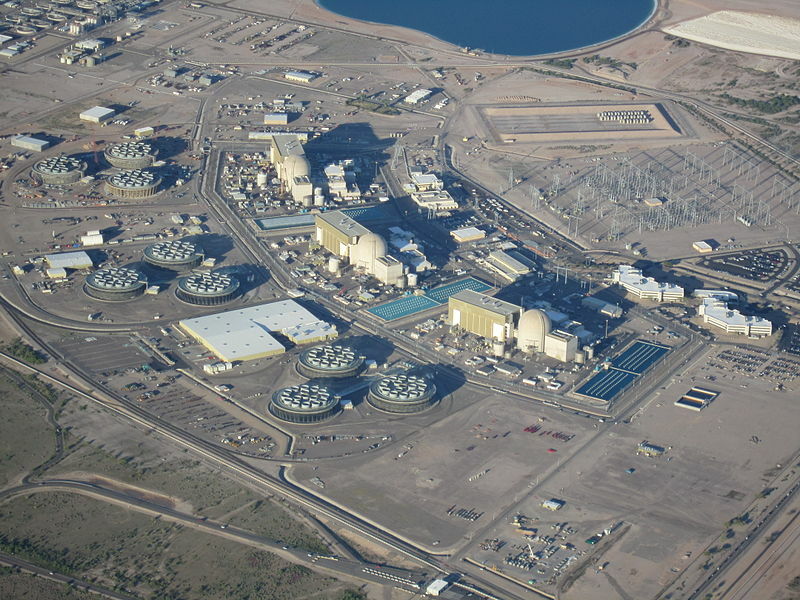 A new report from the USGS warns that on the high demand basis for nuclear power through 2035, the identified resources from operating and developing mines is inadequate. "At 2010 rates of consumption, uranium resources identified in operating or developing mines would fuel the world nuclear fleet for about 30 years. However, projections currently predict an increase in uranium requirements tied to expansion of nuclear energy worldwide. 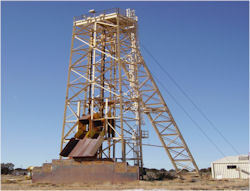 In the low demand case, uranium identified in existing and developing mines is adequate to supply requirements. However, whether or not these identified resources will be developed rapidly enough to provide an uninterrupted fuel supply to expanded nuclear facilities could not be determined." The presentations from the annual Peer Review of US DOE funded geothermal projects are now posted online. 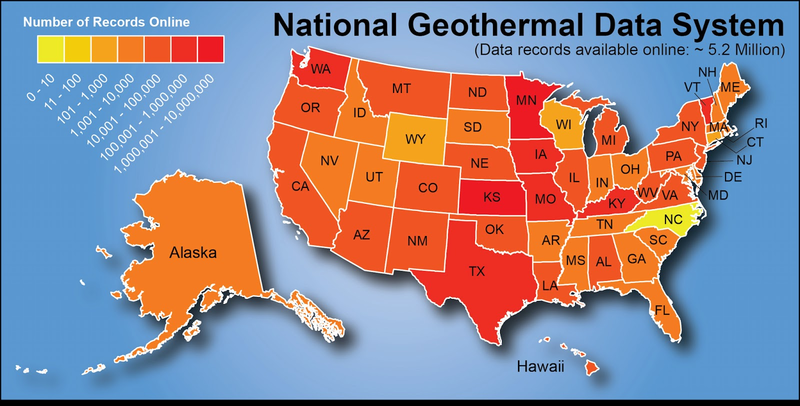 AZGS presented the progress and results on the National Geothermal Data System we run on behalf of the Association of American State Geologists. NGDS is in a beta test mode, with over 17,000 data sets comprising more than 5 million records currently. That number is expected to double or triple by year end. The Geothermal Technologies Office funds 154 research and development projects leveraging nearly $500 million in total combined investment, and 95 of the those projects presented at the annual Peer Review event. Each project represents a growing technology sector in conventional hydrothermal, low-temperature and co-produced, or Enhanced Geothermal Systems (EGS) technologies, as well as technical and non-technical research and analysis. Each year, DOE requires a rigorous review of investments by independent, qualified peers to assess key achievements in geothermal development and to meet strategic DOE guidelines. Peer Review offers geothermal stakeholders an opportunity to learn about the projects funded by DOE across a wide spectrum of technical complexity and funding magnitude, from research and development to demonstration and analysis. The event also opens a dialogue with other respected researchers in geophysics, geochemistry, modeling, tools, and more. The U.S. Department of Energy (DOE)'s Geothermal Technologies Office Peer Review meeting was held on April 22-25, in Denver, Colorado. ASU's School of Sustainability is using a crowd-sourcing approach to map global carbon dioxide (CO2) emissions. The research team "developed a website with a Google Earth interface that makes it easy for everyday people around the world to enter information. The website, “Ventus,” aims to create a complete list of global power plants, something that does not exist and is needed to fully comprehend the global carbon emissions cycle." Ventus: Crowdsourcing to map global CO2 emissions from ASU News on Vimeo. The Utah Geological Survey has released a geologic map of the Glen Canyon Dam area of southern Utah and northern Arizona (provided as two plates-east and west parts), which is one of several maps recently completed by the Utah Geological Survey that provide complete geologic map coverage of Lake Powell and Glen Canyon National Recreation Area. 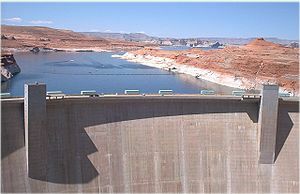 The announcement says "Glen Canyon Dam, completed in 1964, is anchored in Jurassic Navajo Sandstone, the oldest formation exposed in the map area. Jurassic and Cretaceous strata are cut by a few small faults and warped by broad shallow folds. Surficial deposits consist of extensive river and stream terrace gravel, eolian sand, and minor alluvium and talus. The map is based on new field mapping and aerial photograph interpretation and is provided as two plates in PDF format with a 12-page explanatory booklet that describes map units." Ref: Preliminary Geologic Map of the Glen Canyon Dam Area, Glen Canyon National Recreation Area, Coconino County, Arizona, and Kane and San Juan Counties, Utah, by Grant C. Willis, UGS Open-file Report 607, 2012. Arizona mining companies are having a hard time finding qualified candidates for even high paying jobs, and that's symptomatic of the industry nationwide. SME and GSA are offering a webinar on "Emerging Workforce Trends in the U.S. Energy and Mining Industries" on Thursday, May 23. Access to energy and mineral resources is essential to support the United States' high standard of living, economy, and security. The outlook is bright for U.S. energy and mining jobs as these industries should continue to grow and pay well, but the nation will have to overcome a looming retirement bubble and low number of prospective employees skilled in science, technology, engineering, and math (STEM). Some innovative solutions are being pursued, but more action is needed if the nation is to maintain a skilled workforce able to supply its energy and mineral needs. The National Research Council (NRC) report Emerging Workforce Trends in the Energy and Mining Industries: A Call to Action examines the current and future workforce situation for the non-fuel mineral, oil and gas, coal, nuclear, geothermal, solar, wind, and carbon sequestration sectors and frames some steps the nation can take to help ensure it meets the country’s future needs in these industries. Leigh Freeman and Jerry Ventre, professionals with the mining and solar industries, respectively, were members of the NRC committee that authored the report. They’ll provide a brief synopsis of the report and take questions from the audience. LEIGH FREEMAN is the principal and general manager of Downing Teal, Inc. He has over 30 years of domestic and international experience in the resource industries. Early in his career, Mr. Freeman served in technical, management, and executive positions with large and small resource companies. He serves in leadership roles for the Society of Mining Engineers, Society of Economic Geologists, Industrial Minerals Association, International Center for Appropriate and Sustainable Technologies, as well as Montana Tech, South Dakota School of Mines, University of Arizona, and Queen’s University. Mr. Freeman received his B.S. in geological engineering from Montana Tech of the University of Montana. GERARD (“JERRY”) VENTRE is a consultant in photovoltaic (PV) systems engineering, specializing in workforce development, system design, and product assurance. He has over 35 years of experience in research, development, design, systems analysis, and education. For 20 of those years, he led the PV and distributed power programs at the Florida Solar Energy Center, a research institute of the University of Central Florida. During that time he also managed the U.S. DOE’s Photovoltaic Southeast Regional Experiment Station, with emphasis on test, evaluation, and application of PV and advanced technologies. He received his B.S. degree in aerospace engineering, and his M.S. and Ph.D. degrees in aerospace engineering and applied mechanics from the University of Cincinnati. After registering you will receive a confirmation email containing information about joining the Webinar. There is no cost to attend this Webinar.